Welcome to Knoxville Chiropractic Solutions! Knoxville Chiropractic Solutions is located in Powell, TN. KCS is proud to be one of North Knoxville’s largest Chiropractic offices and is known for a wide variety of the newest technologies in the field of chiropractic and physical therapy rehabilitation. At KCS, Dr. Shana Sparks is truly concerned about your health and well-being. This chiropractic office delivers natural, safe and effective Chiropractic Care for a wide variety of health conditions and focuses on overall health and prevention. She will spend the time to listen with each patient and deliver optimal health through Chiropractic Care. Dr. Shana Sparks has received her Doctorate of Chiropractic at Sherman College of Chiropractic in 2005. She was also awarded the Service Distinction Award. She is a licensed chiropractor in the state of Tennessee. She studied and worked very hard throughout her educational career so she would have the most knowledge possible to help her patients. She is highly trained in the most recent research and technology of diagnosis and treatment for patients. Dr. Sparks has practiced in North Knoxville for most of her career. In 2011, Dr. Sparks followed her husband to Fort Stewart and practiced in a high volume personal injury/motor vehicle accident clinic performing Chiropractic Care. In 2013, Dr. Sparks returned to Knoxville, Tennessee where she currently owns and practices at Knoxville Chiropractic Solutions. Dr. Sparks is a native of Augusta, Georgia. She received her Doctorate degree from Sherman College of Chiropractic in 2005. Dr. Shana Sparks provides quality chiropractic care to patients in Knoxville, TN. Her hobbies include Olympic Weightlifting and she enjoys competing in the Masters Division. She and her husband, Bryan have two English Bulldogs, MooMoo and Scooter. 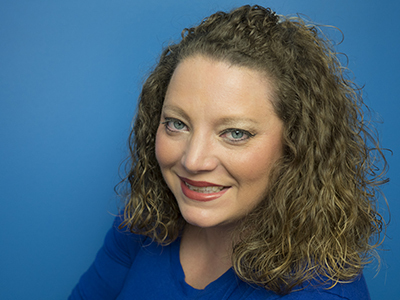 Dr. Shana Sparks provides quality chiropractic care to patients in Powell, TN. Whether you're searching for effective pain relief or a way to boost whole body wellness, Knoxville Chiropractic Solutions can help. Call our office at (865) 333-0999 for an appointment today!